Built for the international global fertilizers business, the market includes ammonia, nitrogen, phosphates, potash, and sulphur so you have a single source of insights, information and analytics in one place. Why choose The Market weekly fertilizers report? The Market is essential for supporting contract negotiations, monitoring the competition, developing price formulae, identifying new opportunities, budgeting and planning. This powerful view includes the latest fertilizer prices, news and agricultural insights, price drivers, freight and shipment data, spot sales, hedging activity and supply/demand trends. The ICIS Dashboard is a single, online platform that offers an instant, detailed view of the chemical, energy and fertilizer markets. 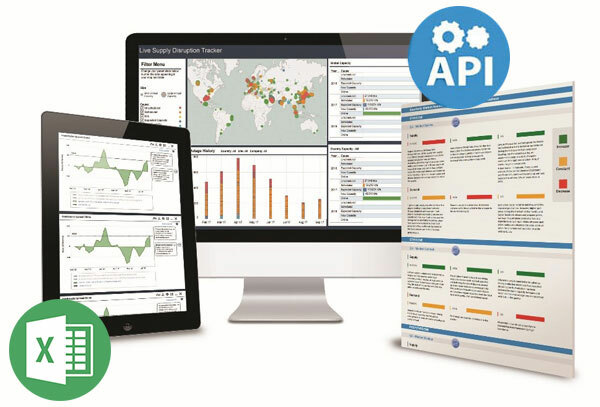 From pricing information and global trade activities, to supply and demand and breaking news, the ICIS Dashboard provides users with an unparalleled, customisable view of the factors affecting market conditions – all in a single screen. Our extensive coverage of global chemicals and IOSCO endorsed expertise means that ICIS is relied on to deliver a complete chain of information. As a fertilizer market intelligence provider, we also include insights on agriculture – an important perspective for fertilizer market players. We also hold 20 years of historical data to further enrich your understanding and planning. Our unique quantitative approach means we give you insights and analysis that are easy to review and assimilate – saving you time and effort and assuring you make the right decisions quickly. We are trusted to support risk management decision making. An index of ICIS and Profercy prices is used in 100% of all fertilizer swaps. We also have seven ICIS quotes that are apart of the CME swaps/futures index. ICIS in partnership with the International Fertilizer Association (IFA) is excited to announce the launch of the 2018 Global Fertilizer Trade Flow Map. The trade flow map provides a geographical picture of the trade flow of fertilizer products between the major producing and importing countries in the world, as well as production and consumption data.